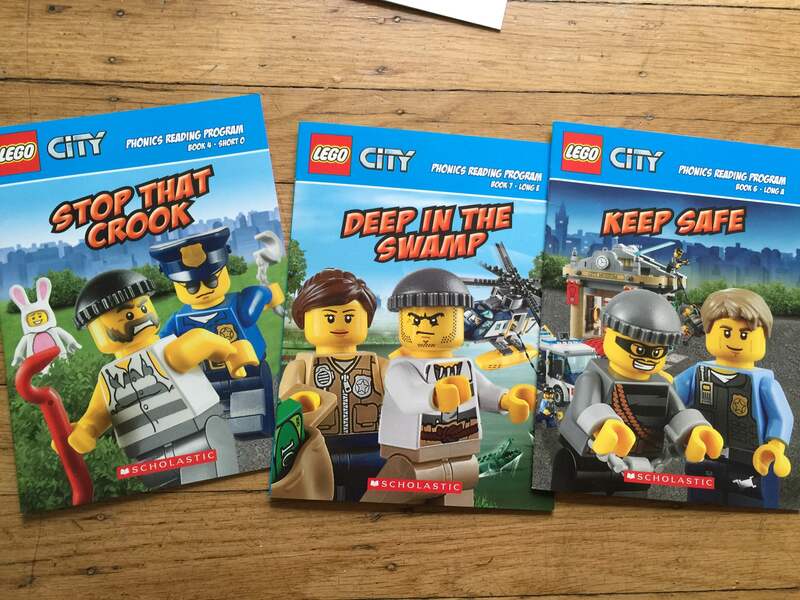 Lego startles me sometimes with its emphasis on law enforcement, crime, and weapons. I recently cleaned out my son’s Lego collection and disarmed his figurines. An impressive haul it was! I would never buy him a toy gun, yet somehow all of these firearms have slipped into our household. Not long ago, I stumbled upon a Lego advent calendar with a mini figure for each day of advent. My enthusiasm curdled when I realized that some of the figurines were criminals: prisoners in stripes or robbers in ski caps and stubble, holding crow bars. There was a police officer too, holding handcuffs, of course. Merry Christmas! I love Legos. Really, I do. They engage my son so completely that he will fall silent for an hour in the living room in rapt concentration, following the “constructions” to build elaborate vehicles from smartly designed kits. Their designs are brilliant! And beyond the sets, he free builds with startling creativity. He builds airports, toilets, stores, robots, toilets, rockets, houses, toilets, airplanes, and outhouses with toilets. I can hang out with him on the floor for an hour or more, snapping bricks together, creating worlds. He loves Lego and we’ve encouraged him to save his money for kits. We’ve bought him plenty too. But there are certain cops and robbers sets we just won’t allow. Like the jail-break set, which includes a prison with graffiti in its cells. It’s beyond depressing. Our corrections system is an inappropriate subject for play. It seems insensitive and glib to turn prisons into play kits. 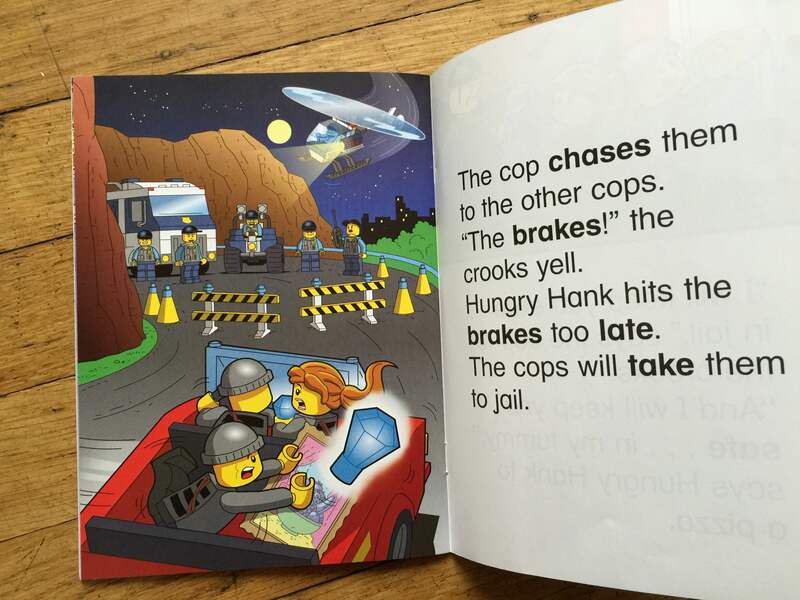 Against my protests, we recently ordered a Lego phonics book series. My husband is hoping to leverage Robin’s Lego love to teach him to read. 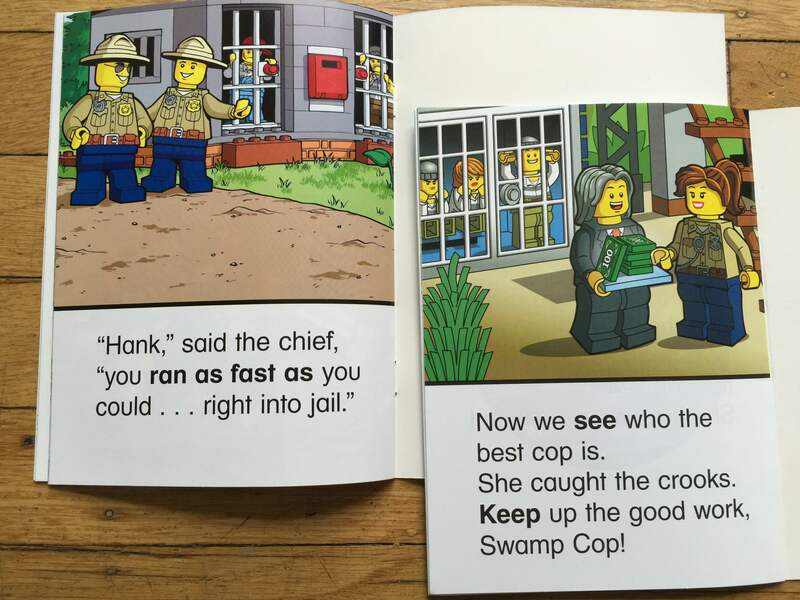 But the plots of the books revolve around cops (short O) and robbers (short O). There are lots of police chases and gritty criminals. I cringe as we read our way through gold heists, swamp chases, diamond thefts, and bank robberies. There are Lego SWAT teams, confrontations, incarcerations. Maybe I should count my blessings. At least the characters are beyond race, a uniform yellow. I guess it could be worse. Am I a prude to be a uneasy about all of this? This entry was posted in Uncategorized and tagged corrections, crime, Lego, parenting, play, police, toys on October 21, 2015 by aszyper.